It’s the holidays which means parties, potlucks, lots of yummy food and possible weight gain (or definite). I love going to dinner parties & potlucks– it’s fun to try everyone’s dishes and get inspiration for new dishes. I will be searching for lots of good, easy recipes and here is the first one: Zucchini Parmesan! Maybe you have noticed that I like to eat things with sauce & cheese based on some of my previous posts. 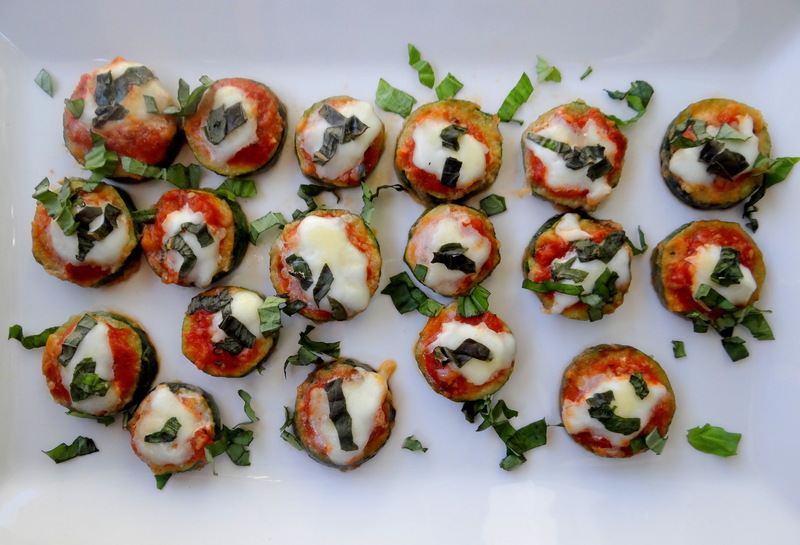 I have made eggplant parmesan, chicken parmesan, eggplant pizza but did not think about zucchini parmesan until I saw this recipe. It’s bite size and perfect for an appetizer! Previous Postbutternut squash soup.. perfect for the holidays!